We live in the heart of Baylis street just opposite the market place!! Bus stop is just downstairs, shopping malls, restaurants, cafes you name it is just a 2 min walk away. We are full time procrastinating uni students and very welcoming :) About the place: 3 bedroom apartment. Toilet and bathroom are separate and we have a lovely spacious living room. You'll have lots of space for storage. Parking is also available. Rent is $150 including all bills and nbn internet. 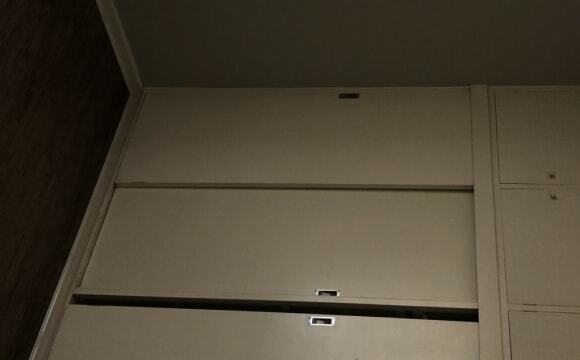 The bedroom has inbuilt wardrobe and can fully accommodate a double bed. Welcome to our home. This is a very spacious and modern 4bedroom home located in a lovely quiet court and only 2minutes from the shopping centre. The room on offer is unfurnished and the bathroom is shared with 1 other person. 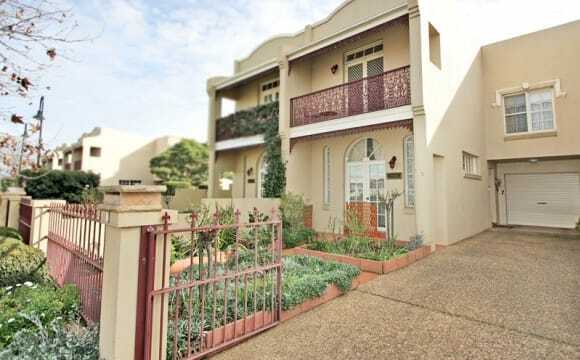 The property is a 3 bedroom 1 bathroom townhouse located just off Fitzmaurice St. Across the road is KFC, the forum cinemas and the Riverina Hotel. Across the street is the beautiful river. Fitzmaurice st (which turns into Baylis st) is covered in cafes, shops, bars and restaurants. The property includes a large living room with french doors that open into the front court yard and a decent functional kitchen with a large dining area. We are in the master room on the top level and your bedroom is a few steps down on the next level next to the bathroom. Your room has built in wardrobes with plenty of storage. There is a single garage and a shed if you need to store any tools or toys. The courtyard is paved with a few plants so no need for you to do any outdoor chores. Included in the bill is internet, netflix and stan. Water and electricity bills will be split. We have a pod coffee machine which you can use as much as you want and heaps of other kitchen appliances. We can provide a double bed and mattress for your room if needed. Property is not available until Monday 29th April. 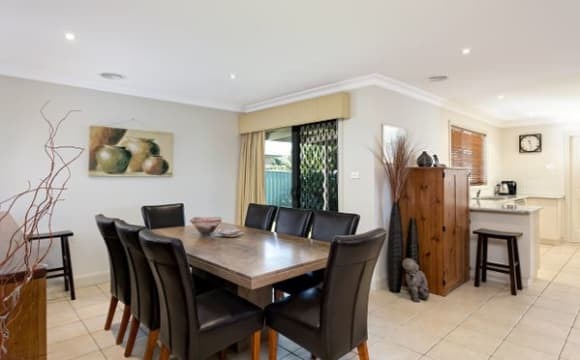 The house is four-bedroom and is centred around a lovely deck overlooking garden and bushland. It is fully furnished, features wifi and air-conditioning. It also features huge windows, most of which look onto the deck and bushland. It is peaceful and private but only 5 mins drive to centre of town or uni. Is located on a bus stop if you need it, or is a short walk to town. There are also other great walks along the river opposite. The house is only 1.5 years old, and is only a quick 5 minute drive to the uni and a 10 minute drive to town. 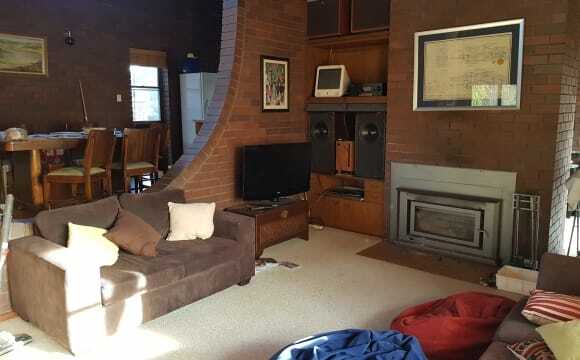 The house has evaporated cooling, ducted heating, the NBN wifi and Netflix are included. It is fully furnished apart from the bedroom. The bathroom includes a bath and large shower with a separate toilet, the laundry has a washing machine and dryer. The gas, water and internet bills are included in the rent, the electricity bill is not and will be split evenly between the 3 of us. A garage space for your car will be available. A modern home near to busstop, 3 minute drive to uni and 6 minute drive to city. The property is fantastic with 3 bathrooms allowing each roommate their own bathroom, a spacious enclosed backyard, outdoor entertaining area, quiet family neighbourhood, spacious kitchen and a large garage and driveway for off street parking. We utilise 3 of the bedrooms and the 4th is set up as a study/recreational area! We are about 4 mins to the Uni and about 10 mins to the city centre. Very modern and low maintenance home! Newly built 3 bedroom house with all modern facilities. Room comes with all bills paid with unlimited wifi &amp; Foxtel in main lounge. Fully air conditioned &amp; heated. 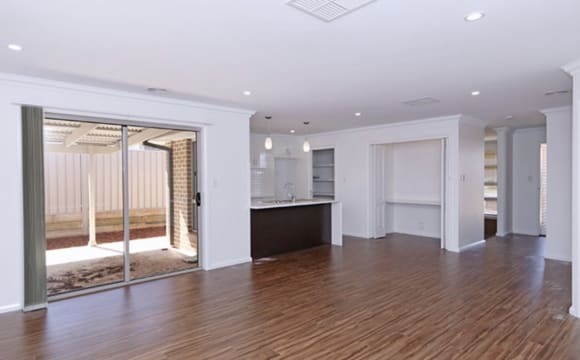 The house is situated minutes from CSU &amp; town in Estella Rise - 24 Cunjegong Loop Gobbagombalin NSW 2650. 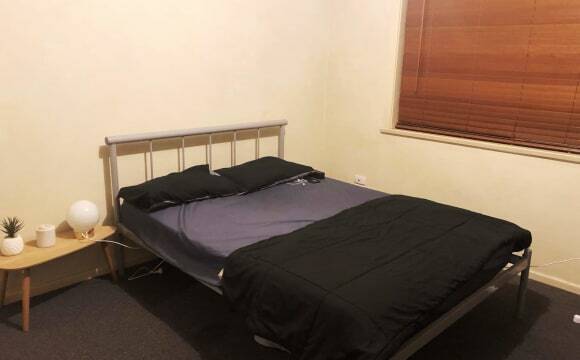 MCKEOWN STREET, ESTELLA, NSW2650 •	Fully furnished share house in Estella available now •	Master bedroom features its own ensuite. •	All bedrooms are lockable. Size is medium to large with all feature built in robes and supplied all furnished such as: double bed, desk, chair etc... Rooms can be unfurnished if required. •	Ducted evaporative cooling throughout and gas heating. •	Well equipped kitchen with induction stove top and full kitchen utensils are provided. And also fridge,freezer and washing machine are provided. 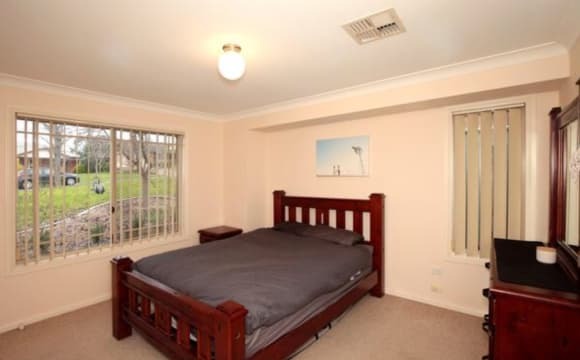 •	Rent is from $149 per week included water, internet NBN. •	Parking available on premises, off street parking at the front of the property. •	Short term or long term contract flexible option available. The house is approximately 10 mins drive to town and 5 minute drive or 15 minute walk to CSU Campus. •	Feel free to email or text me if you are interested. 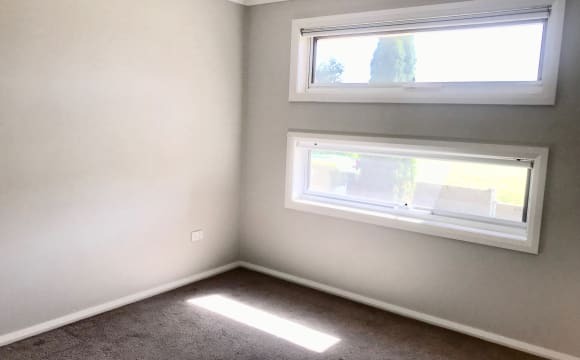 Room available for rent in Boorooma! 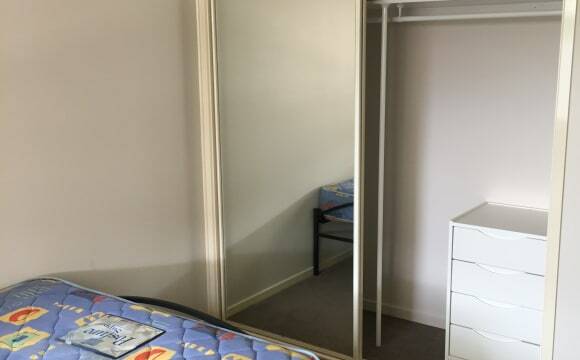 Very spacious bedroom with big built in robe. You would be living with 3 friendly female students and sharing a bathroom with two of them. Big backyard and pets considered! The home is a 6 yr old metricon 4 bedroom 2 bathroom brick air conditioned, ducted heated plus a wood fire. Has a large out door area with 6 burner BBQ and outdoor setting under cover and TV. Bedroom has a double bed, pillows sheets, doona, bedside tables, built in cupboard which as a power point and tv outlet for a small TV. 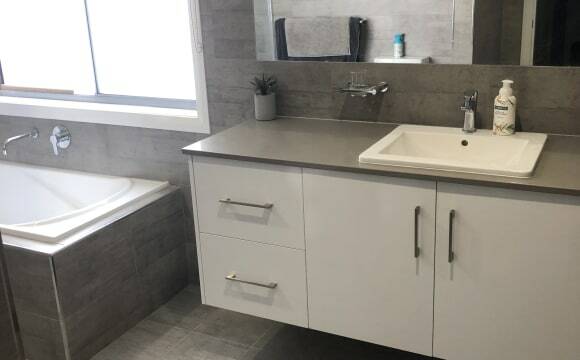 Your bathroom is separated from your room by the laundry and you have private hall way access from your room to the bathroom which includes shower and bath. The toilet is the next door. 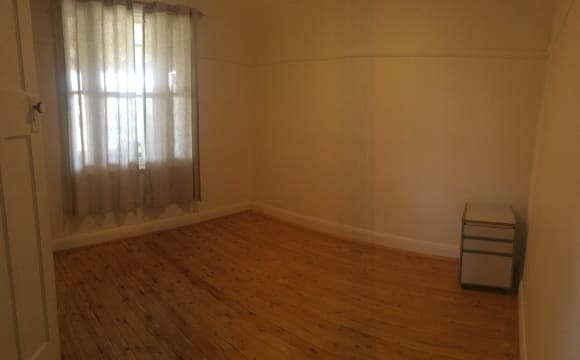 Their is a another room in this hallway which is required I am happy to let you set up as small office or study room (currently has a bed and some filing cabinets which I will move for you. (access to internet will be via WIFI is this room). Master bedroom (mine) is at the front of the house and I have my own bathroom and toilet. New SMEG oven and dishwasher, large 2 door modem fridge with water and ice maker. Unlimited NBN with Optus. The home is in a new area with quality homes around us. The bus stops at the front &amp; is only a 10 minute ride to Wagga Wagga. Local shops which includes a small supermarket, bottle shop, news agency, takeaway, chemist and Doctors, a 10 minute walk or 2 minute drive away. Large back yard and very quiet neighbour hood with a number of defence force personnel in the street and surrounds. Only 2 minutes to Wagga Wagga airport and without the aircraft noise from them. 1 bedroom, can be furnished or unfurnished. House is furnished. Shared main house bathroom(would mainly be yours). 2 separate shared living rooms. Great kitchen. Ducted heating and cooling. Internet included. Outdoor area with BBQ. 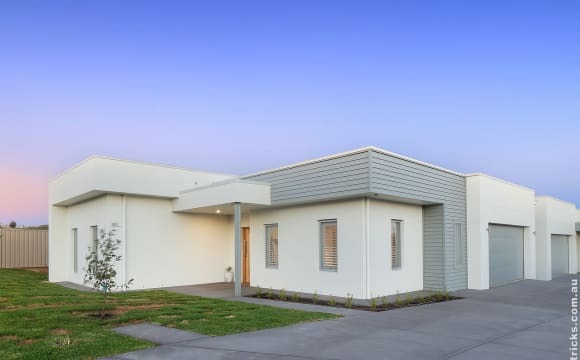 Close to airport and a short 5-10 min drive to Wagga town centre. Short walk to bus stop that goes to town.